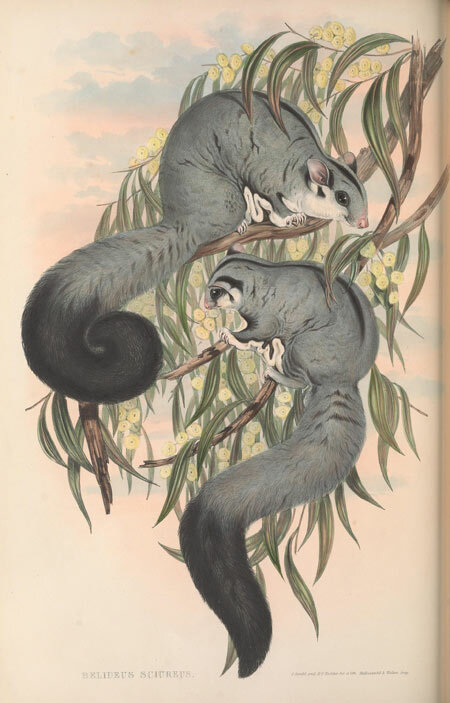 The Squirrel Glider (Petaurus norfolcensis) is a species of gliding possum found in forests and woodlands of eastern Australia, mainly in coastal regions. This species looks superficially similar to it’s smaller cousin the Sugar Glider, however it can be distinguished by its larger size (about twice the weight of a Sugar Glider) and it’s thicker, bushier tail. 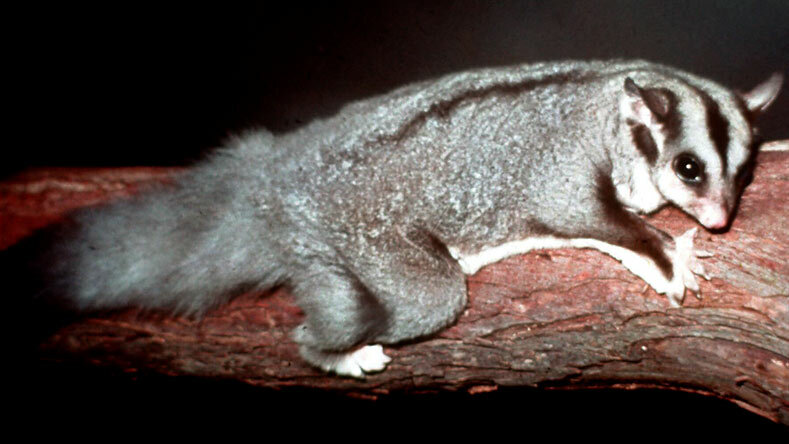 In the south-east of their range, Squirrel Glider populations have declined as a result of habitat loss and fragmentation. This species relies on mature trees with suitable nesting hollows for breeding. MX348 This first recording features some nasal churring sounds from a Squirrel Glider. This sample was recorded in Benarkin State Forest, Queensland. SD584 The commonly-heard nasal grunt call. Recorded in Benarkin State Forest, Queensland. XC151592 This third sample is a higher-pitched variation of the nasal grunt call. Recorded on the edge of the Normanby River in Lakefield National Park, Queensland. On this sample you can also hear Australian Wood Frogs and a Papuan Frogmouth in the background.